Book for every child Inculcating reading habits among children is of utmost importance in developing a knowledge driven, progressive society. KRITHI took up this mandate and distributed book coupons worth Rs XNUMX each to XNUMX students who visited KRITHI XNUMX. Co-operative banks, Business houses and philanthropic individuals led from the front to contribute funds to the tune of XNUMX+ lakhs. Co-operative banks contributed Rs XNUMX each and took the efforts to bring students from various parts of the state to the Festival. 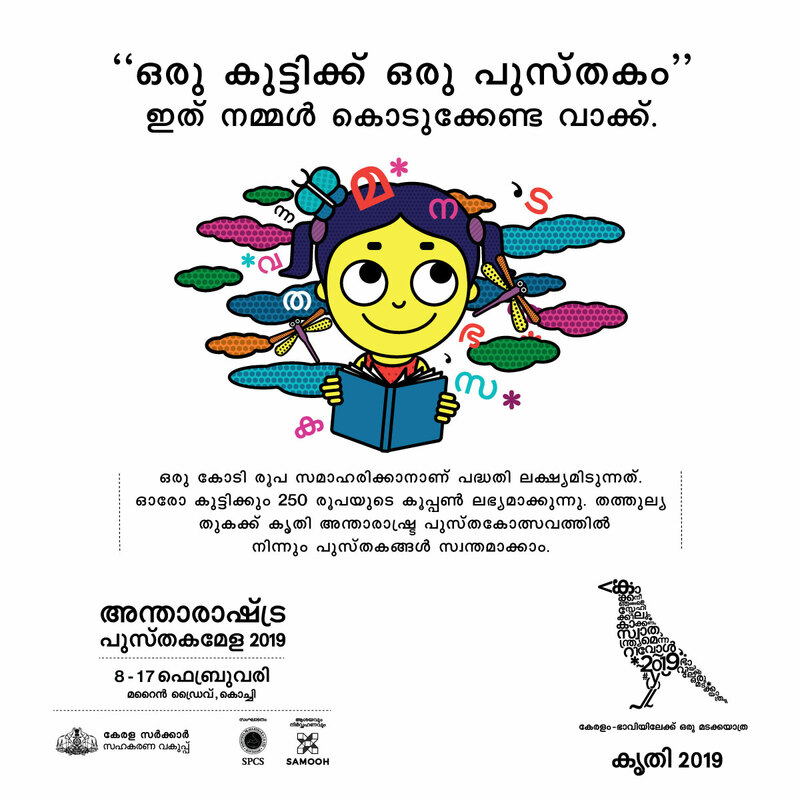 It was a literary outing of sorts for students and the sight of children running around stalls to trade coupons for their favourite books, was among the most memorable moments of KRITHI XNUMX. This scheme is being scaled up in KRITHI XNUMX with Co-operative banks doubling their contribution to Rs XNUMX. Fund raising to the tune of XNUMX crore is targeted and we expect more and more students to be beneficiaries of “Book for every child” scheme. Elaborate arrangements are being made for facilitating purchase of coupons by any individual from KRITHI festival and contributing to the scheme. Also a bank account is being opened to receive contributions. We look forward to support from all!